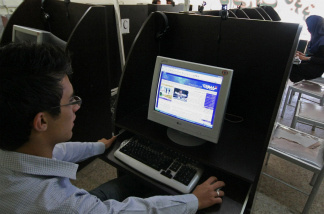 An Iranian youth browses a political blog at an internet cafe in the city of Hamadan. A baseball inspired poem from 1888; a TSA inspired security wand for children that goes 'beep'. And joining a revolution from the comfort of your couch. Brendan Francis Newnam and Rico Gagliano from The Dinner Party Download join us with this week's cultural conversation starters.